At some point in everyone’s life, you probably forgot where you parked your car. When this happens, you can depend on your remote keyless entry feature (an expensive car option) to blow the horn, or you enter into a journey that ends up with mirages of your car appearing after hours of trying to locate it. I want to suggest somepowerful applications for iPhone users that are specifically designed to detect your parked car. GEOflare proves competent and time-efficient when trying to find your parked car. 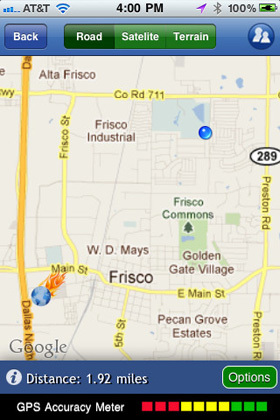 The product offers features to share and saves your locations along with magnificent map features. You can track routes for exercises as well as outdoor activities. 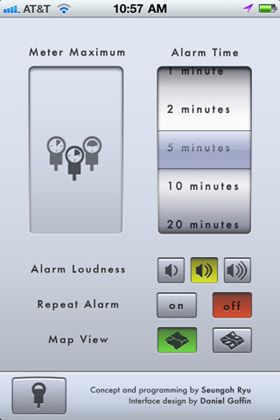 It offers duality in not only locating your parked car, but keeping track of other locations and positions, as well. The program is cost-efficient and provides an attractive user interface. The cost, appearance, functionality and quality are worth its price for any user who needs help in locating their parked car. 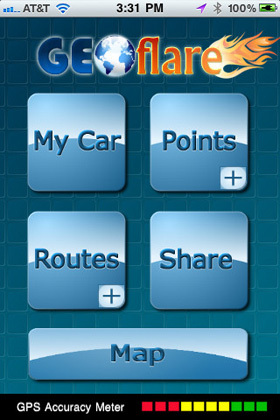 Honk – Find My Car Free/Parking Meter is ranked highly among the plethora of parked iPhone application. This product not only provides GPS markings of your parked car, but it offers various other features. Are you someone who consistently forgets the time you have left on the parking meter resulting in various parking tickets? 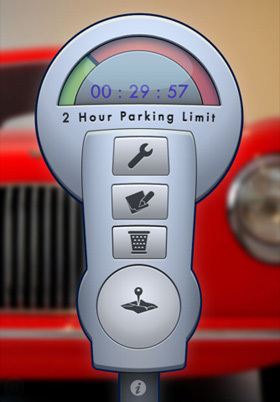 This application contains a parking meter timer that reproduces a digital parking meter on your iPhone. No, the product does not pay for your parking meter, but it does provide a timer that allows you to know when you need to go back to Find my car before the meter-maid tickets you. 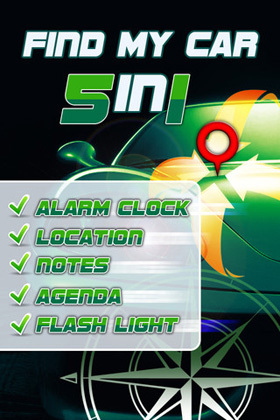 Find my car – 5 in 1 is an iPhone parking program but where it differs from the Honk – Find My Car/Parking Meter product, it features a Flash Light, Alarm Clock, Notes, Agenda and Location. I find that the implementation of the various features make this programasubstantial purchase for the buck. There are various car finder applications on the market, and I have annotated only three of them within this article. The three Car Finder applications mentioned are ranked highly and appear to be the most cost-efficient. IPhone users can now watch outdoor activities, keep track of parking meters and locate their parked/ lost car with easy-to-use iPhone applications which can make all of us breathe a little-bit easier the next time we cannot find our parked car. 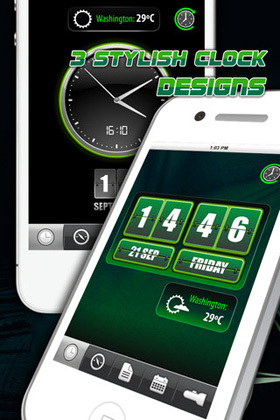 So all above iPhone apps will help you to Find my car, let us know if you know some more better iPhone apps for the same. Share with us via comments below.